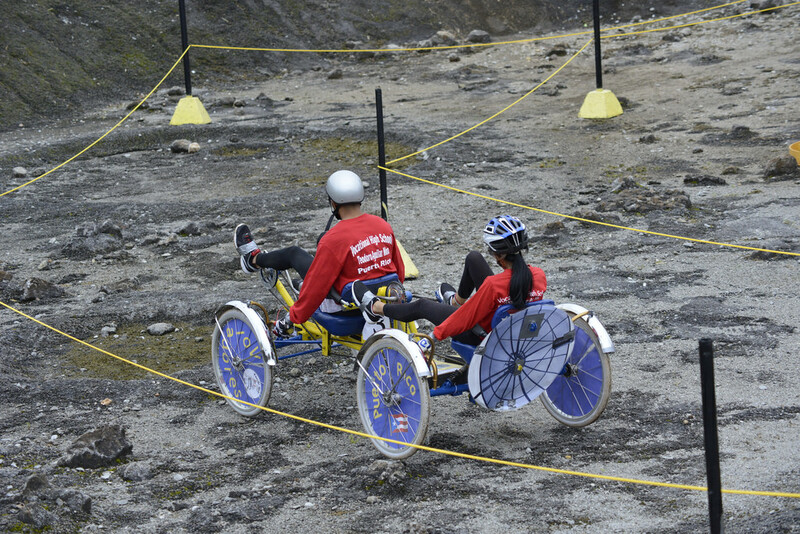 University Gardens High School of San Juan, Puerto Rico, won first place in the high school division of the 2015 NASA Human Exploration Rover Challenge, while an International Space Education Institute team of Moscow, Russia, won the college division of the event, held April 17-18, in Huntsville, Alabama. At the end of the two-day challenge, at the U.S. Space & Rocket Center in Huntsville, both teams posted the fastest vehicle assembly and race times in their divisions, with the fewest on-course penalties. In addition to taking home the winning trophies, both first-place teams also received a cash prize of $3,000, courtesy of corporate sponsor, The Boeing Company. In the high school division, hot on their heels and finishing in second place, was Rafaelina Lebron Flores of Patillas, Puerto Rico. Third place went to The Academy of Arts, Careers & Technology of Reno, Nevada. The international community was well represented in the college division, as the International Space Education Institute team of Leipzig, Germany, came in second, while the veteran team from Middle Tennessee State University of Murfreesboro – Team 1, placed third. This year’s event brought 95 registered student teams from high schools, colleges and universities across 18 states and Puerto Rico, as well as international participants from Germany, India, Mexico and Russia. Managed by NASA's Marshall Space Flight Center in Huntsville, the event challenges students to design, build, test and race lightweight, and human-powered vehicles. Rover Challenge is designed as a research project for students to investigate and test technologies that could potentially be used on future deep-space exploration missions.